VisionMax Cinema is a multiplex showing the latest movie releases. VisionMax uses an EMC from AdChoice LED Signs to advertise the movie times and promote upcoming features. The sign will also be helpful in promoting the soon-to-be opened Cinema Pub, a restaurant that serves great food to VisionMax customers. 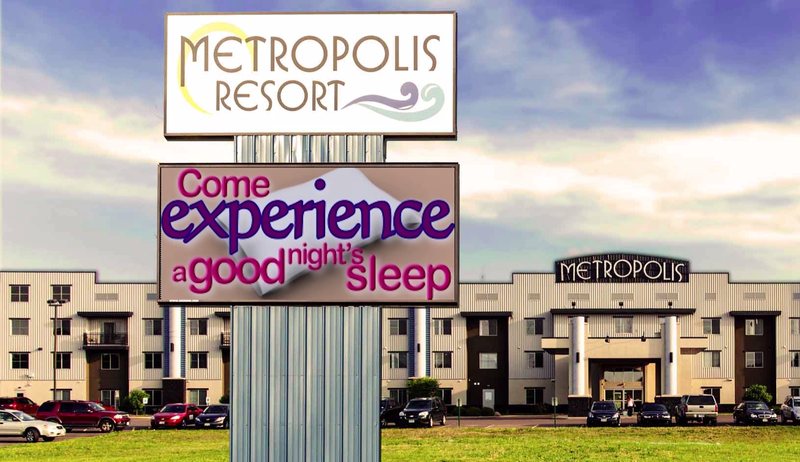 The Metropolis Resort is a premier family getaway destination and a well-appointed hotel for business travelers visiting western Wisconsin. The managers at the Metropolis leverage the flexibility of their EMC from AdChoice LED Signs to target advertising to different types of customers at different times. On the weekends, the Metropolis can promote the Chaos Indoor Water Park and Action Family Fun Center to families, and on weekdays, advertise business-friendly amenities and conference capabilities to corporate customers. 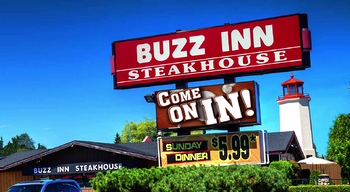 Buzz Inn Casino and Steak House is a very popular Washington state establishment with 11 locations and a loyal clientele. They use AdChoice LED Signs to draw in new customers, to advertise specials, and to promote casino tournaments. According to Bill Tackitt, the owner of Buzz Inn Casino and Steak House, his eBoard signs are a powerful, yet easy to use marketing tool. 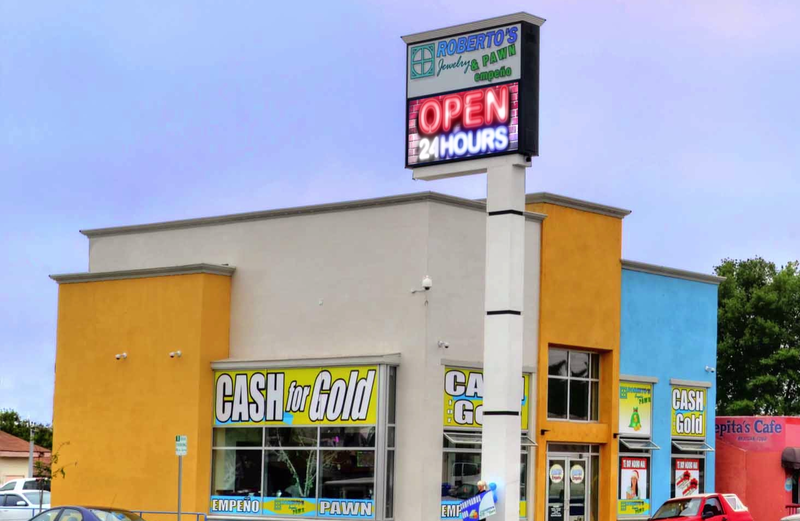 For over three decades, Roberto’s Jewelry in National City, California has been providing customers with beautiful jewelry for birthdays, weddings, and other special moments. Roberto’s uses an EMC sign from AdChoice LED Signs to draw in new customers, advertise the arrival of new items, or remind customers of its excellent jewelry repair services.